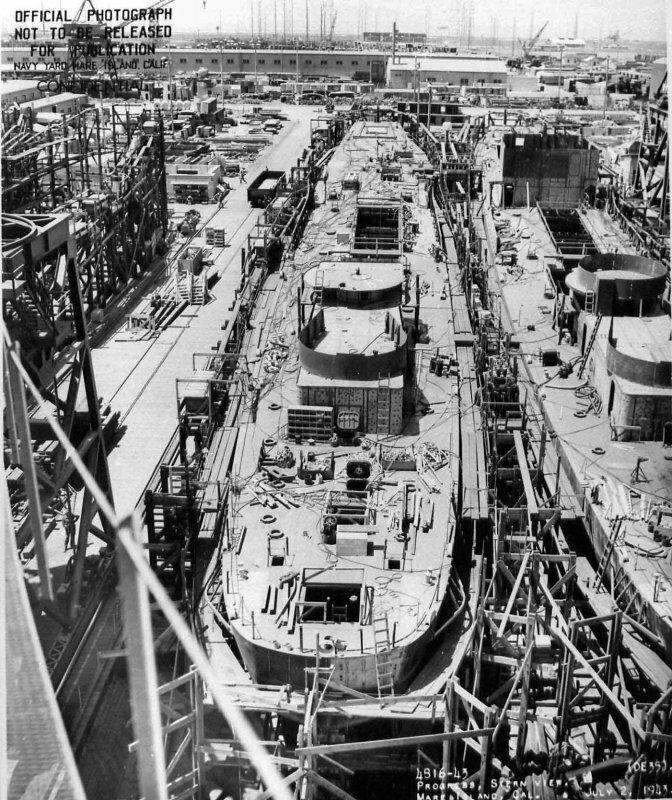 24 February 1943: Keel laid by the Mare Island Navy Yard, Vallejo, Cal. 29 January 1948: Sold to the A.G. Schoonmaker Co. Inc., New York City, N.Y.; scrapped by the Zidell Corp., Portland, Ore.
134k 02 July 1943: Bow view of Fair is seen on the building ways at Mare Island. 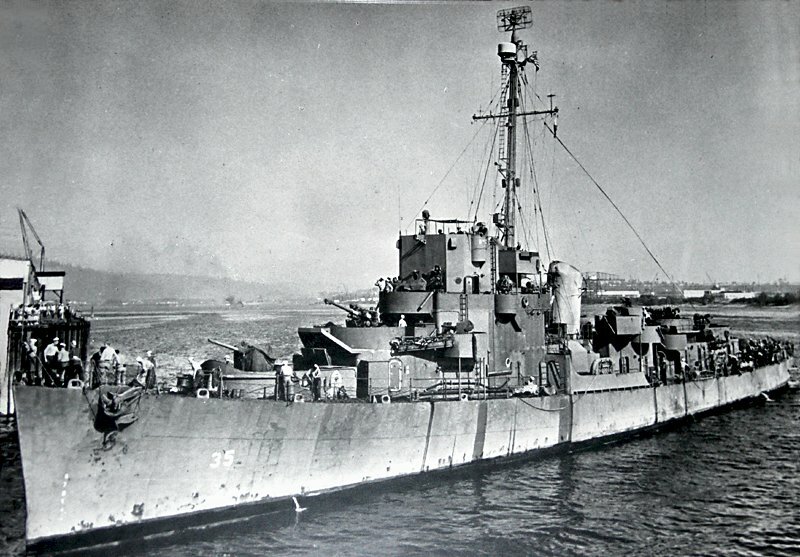 The USS Manlove (DE 36) is to the left. 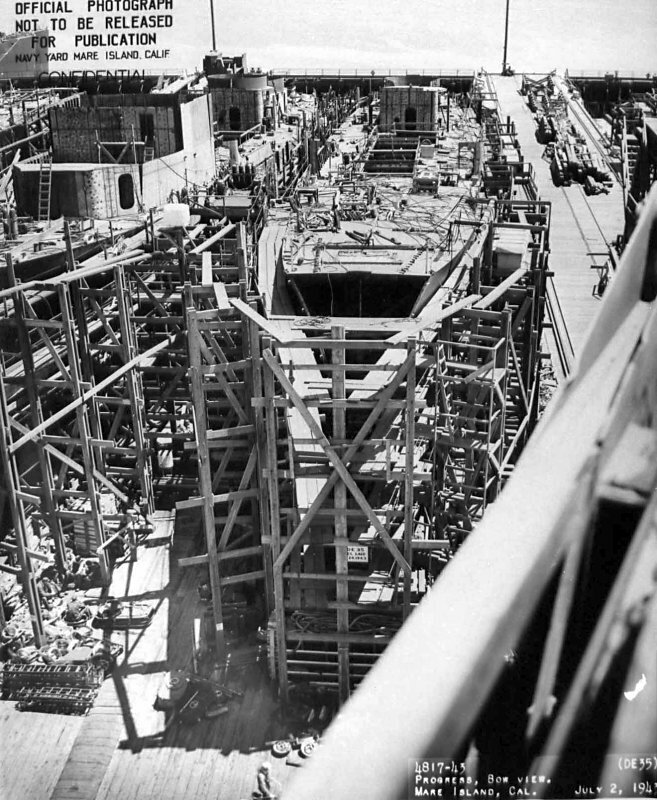 183k 2 July 1943: Stern view of Fair seen on the building ways at Mare Island. 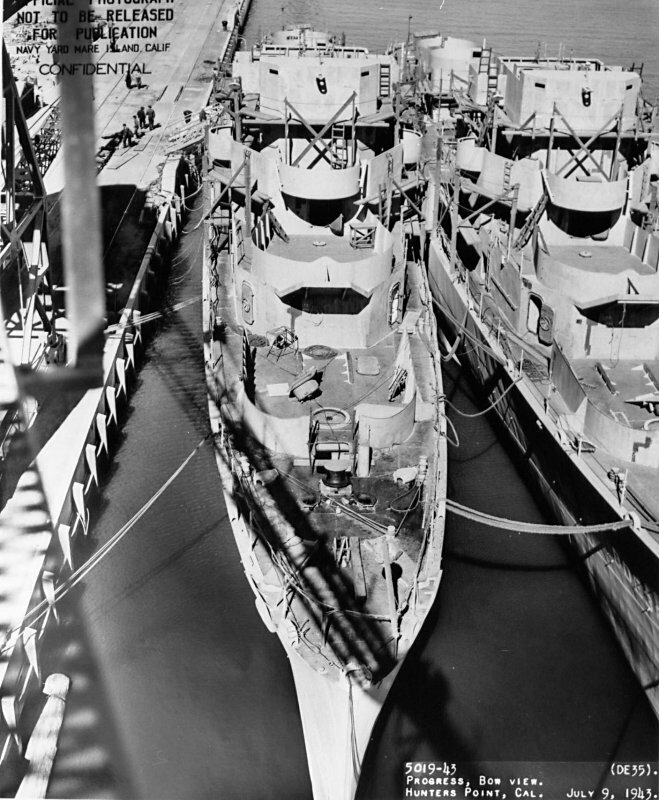 The USS Manlove (DE 36) is to the right. 89k 27 July 1943: Distinguished guests at the launching of USSFair (DE 35) at Mare Island. Left to right: Capt. 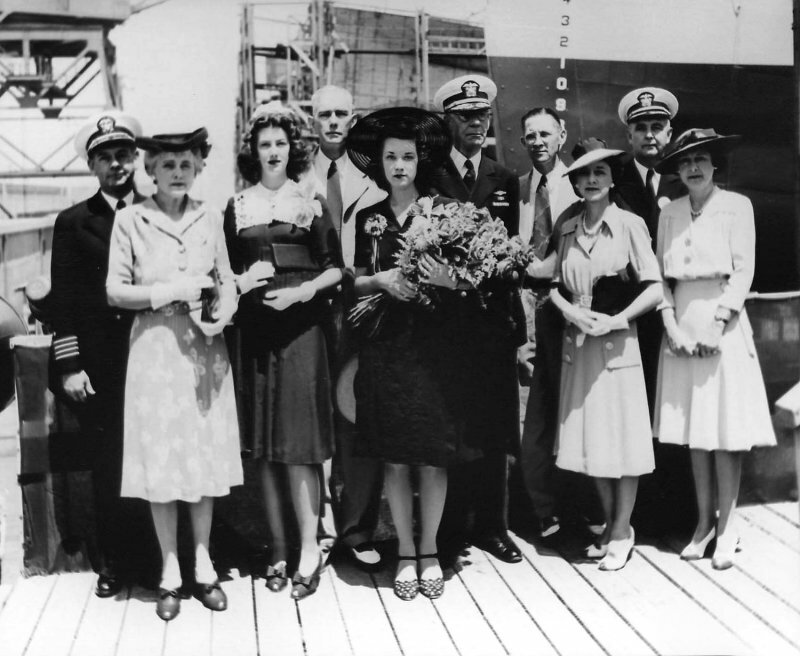 F. W. Scanland, Mrs. F. G. Crisp, Miss Jeanette Fair (Maid of Honor), Mr. Victor N. Fair, Sr., Mrs. Victor N. Fair, Jr., (Sponsor), Radm W. L. Friedell (Shipyard Commandant), Mr. & Ms. B. J. Ramsaur (Parents of the Sponsor), Capt. F. G. Crisp, and Mrs. W. L. Friedell. 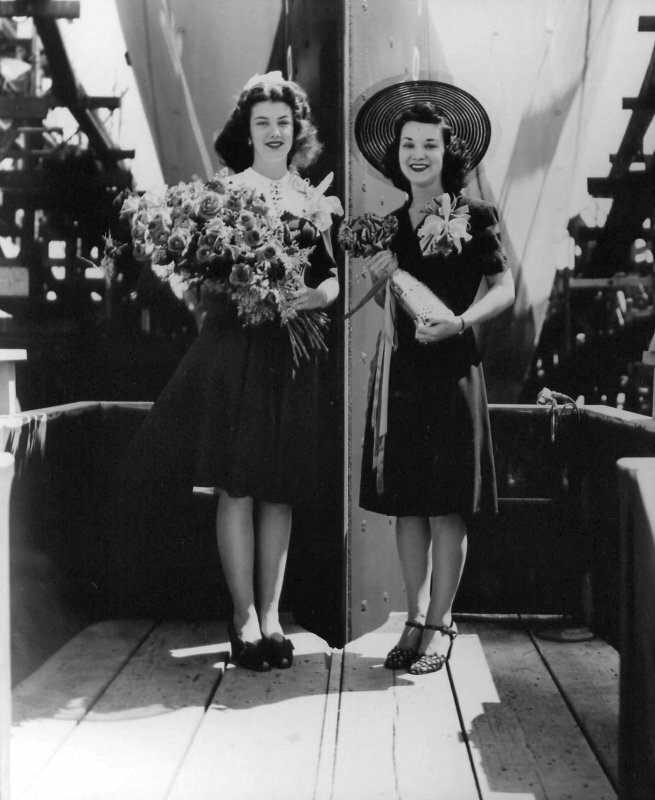 81k 27 July 1943: Miss Jeanette Fair (Maid of Honor), left, and Mrs. Victor N. Fair, Jr. (Sponsor) are seen at the bow of the soon to be launched Fair at Mare Island. 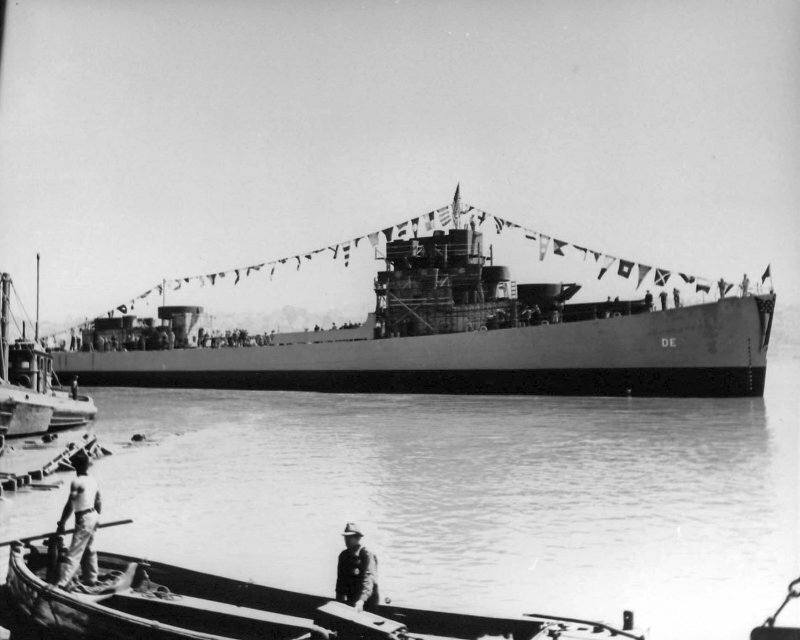 64k 27 July 1943: Fair immediately after her launching at Mare Island Navy Yard. 156k September 1943: The USS Fair (DE 35) at Hunters Point for additional outfitting in September 1943. View the USS Fair (DE 35) DANFS history entry located on the Naval History and Heritage Command web site.